Despite their breadth of experience and knowledge of their craft, older individuals typically have more difficulty and fewer opportunities in their job hunts than their younger counterparts. This is likely in part due to persistent myths about workers over the age of 50, including that these workers are slower and less flexible than younger hires. 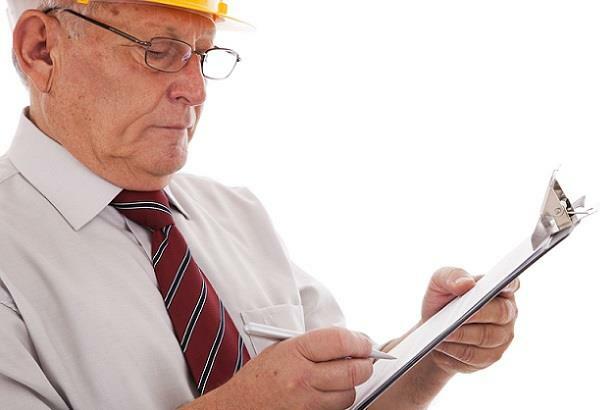 When searching for a new job, then, older construction professionals should frame their approach to interviews and applications carefully in order to address employers’ concerns, as well as demonstrate the many benefits they can bring to the company above and beyond that of younger hires. If this sounds like you, use the following suggestions to form a compelling argument on your behalf. Evaluate the position you are applying for. What duties will you be responsible for? If the role involves a significant amount of manual labor, consider pursuing a less physically demanding job, such as a managerial position. Regardless of whether you are capable of the work, your future boss may balk at hiring you for highly strenuous tasks because they know that accidental injuries for your age group, though infrequent, tend to be more serious. Network. Strong references can put a hiring manager’s mind at ease by offering a reliable indication of your accomplishments and your active involvement in the working world at large. Develop a list of noteworthy contacts to keep in touch with and make sure to speak with them every few months. In addition to people you have already met, you can find new references by participating in workshops or volunteering for construction-related community service. In these situations, you should always strive to make a good impression. Don’t be pushy, try not to immediately steer the conversation toward your job search, and ask for contact information whenever you have the opportunity to do so. Get involved. Not only will this give you the opportunity to grow your network, but it will also give potential employers another look into the advantages you can bring to their organization. One large benefit businesses see in older workers is that they can mentor and help train new hires. Particularly in the construction industry, where the talent shortage has become increasingly prevalent, holding a leadership position or simply being a respected member of your community may prove invaluable for your application. And if you are interested in a position in business development or one that involves interacting with people outside of the company, having a wide network of connections could be vital to your success. Stay up to date on relevant skills. Despite evidence debunking the stereotype, many employers fear that older employees may struggle to learn new techniques and equipment. If you have a background with construction technology, such as experience with Primavera or Timberline for project management, make sure to discuss it in either your interview or application materials. Also mention any workshops and/or continuing education you have attended, and consider participating in more if you are looking for ways to beef up your résumé. This way, you can easily prove your aptitude for mastering new strategies. Highlight your experience. Your experience is the one thing younger competition absolutely cannot measure up to. Create a list of projects you’ve completed and any specific achievements you reached during those assignments. Refer to this list when writing your resume/cover letter and preparing for an interview. Take a few clean, professional-looking copies with you; have one for yourself to refer to throughout the interview, one to give the hiring manager, and a few to leave behind. When discussing your background, emphasize exactly how you will use your experience to benefit the company. You know what works, what doesn’t, and why— talk about the techniques you have perfected over the years that you would bring with you. For example, did you enhance worksite safety or build a plan for developing new relationships with vendors or subcontractors? If you developed strategies in previous positions to increase profits or cut project completion times, detail precisely how you would implement these in your new role. These are the key selling points that younger hires won’t be able to offer. Rethink your résumé. Focus only on your most relevant experience. In particular, resist providing in-depth information for positions from more than 10­–15 years ago. If you really want to include an earlier job, list it under a separate “previous work experience” or “other related experience” header. And if there is a notable project from earlier in your career, consider creating a “career highlights” section or compiling an independent project list or professional portfolio. Dress for success. When you attend your interview, make sure that your clothing projects a modern, yet professional appearance. If you wear clothing that looks like it was bought your first day on the job, you risk coming across as stuck in the past and unadaptable to change. If you are coming straight from another worksite, carry a clean outfit with you to put on before your meeting.